Home » How to Manifest » Are You Making this Law of Attraction for Money Mistake? Question: “When it comes to the Law of Attraction for money, is it better to focus on getting a specific amount of money or to focus on getting the items that the money would buy? These are actually two separate things when you apply the Law of Attraction. If you have a million dollars and you want a million dollars, you must also want to have all the other things. You cannot have one without having the other. If you have a million dollars, you must also want material possessions. You must want a house, a car, a maid, a cat…whatever must also be there for you to want them. If you only focus on a million dollars, then that must be all that you want. 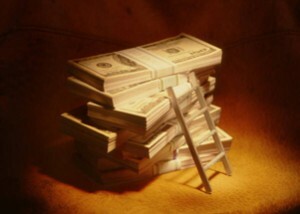 What you do with that million dollars once you get it, it is your free will to decide what to do. If you use it for things, to buy things or whatever…once you spend a single penny…you will no longer have a million dollars and you will no longer be a millionaire. You must go look for more money. You must want more, you must ask for more, you must receive more for you to have another million dollars. Now, you have moved from wanting a million dollars over to wanting things. If you want things, you must focus on wanting things. You may focus on both things – a million dollars and material possessions – at the same time, but you must ask for all. You cannot just focus on one assuming that you will get all of the other. The Law of Attraction says you must ask for what you want. So asking for a million dollars is perfectly fine, but asking for all things is also perfectly fine. But if you want one, that's all you will receive. You must ask for all to get all. If you want more information on using the Law of Attraction for Money, check out the pages below. Mantaining the focus on the material things as well as on the money at the same time had help me to be pretty good economically . I’m making it really good at my business and I think that one of the things that is useful too, is to make things easy, light work, just going with the flow.